The Senate vote 83-7 to cut funding for ACORN from the current transportation and housing appropriations bill. Sen. Mike Johanns (R-NE) introduced the bill. The vote follows three straight weekdays of BigGovernment.com’s video exposés on the child prostitution-promoting organization. Michelle Malkin is covering the story. Democrats voted in March to allow ACORN funding in the Youth Brigade’s bill. Those funds will not be affected by this vote today. ACORN is also a leading member of Barack Obama’s Health Care For American conglomerate that is helping the president push his nationalized health care plan. 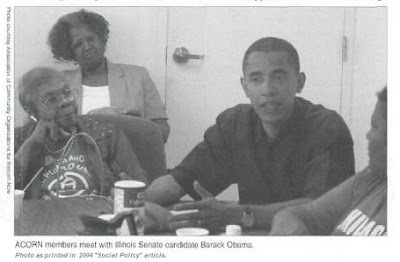 Once again… ACORN is the largest radical Leftist group in America today.